I am 42 and my wife is 38. We have been married for 10 yrs. We live in a suburban Northeastern town. Most of our net worth ($4 million) is in our taxable investment account. $1 million is in my tax deferred 401k and Cash Balance plan. We have our main residence that I have been rapidly accelerating the mortgage payments and have approximately $350K equity and $100k left on mortgage and will be paid off in 2 years. I have an owner-financed mortgage on our cottage at an unbelievable 2.5% of which I owe $220K and have approximately $100k of equity. I am a physician in a heavily procedure-oriented specialty. It is private group practice and I have been partner for 8 years. It varies but around $900k per year. I started 3 years of residency with an annual salary of $30k. This was followed by 3 years of fellowship where I made appx $35K. I joined my group as an associate with a base salary of $230K with productivity on top of that. As an associate, I seriously worked my tail off and grew a huge practice. Instead of taking an afternoon off like all of my partners I spent that afternoon as a contractor with the VA doing procedures which amounted to an extra $3k after tax each month. Once I became partner, my salary rapidly rose to where it is currently. Unfortunately given cuts to reimbursement and never-ending overhead increases, my salary now continues to fall. There are no shortcuts. You need to invest the time in a great education and work your tail off. In fellowship, I was by far one of the hardest working fellows in the history of the program and came out of fellowship with over 10x the number of procedures as the average fellow. I was there every morning by 6 am rounding on patients and getting patients ready for the first case of the day while my co-fellows didn’t arrive until 7:30 am. Even 10 years later, new fellows tell me they are still told about the legend of Dr X who was here every morning at 6am and did X number of procedures. Interestingly, PCPs still tell me that the chief of the dept tells them to send their patients to me because of the impression I made. I also made sure to introduce myself to all the local PCPs when I started and would frequently call them after seeing an urgent or interesting patient. These relationships grew and all of a sudden they were sending all of their patients to me and me only as they knew I was a competent, caring doctor and would keep them updated on their patients. The other lesson here is the benefit of staying and practicing in the same town that you train. Once I finished training and started private practice I became busy very quickly. This is always a challenge and has become very challenging with children. I was feeling burned out so I now take a full day off per week. I try to be home from work by 5 pm every day by ending clinic at 4 pm. I am on call 5 weekends per year. I am continuing to slowly cut back even more. I have no other sources of income besides my investments and job. I am paying double my mortgage currently so it is high, probably about $170k per year. Once the mortgage is paid off, we will be well under $100K per year. I will likely have our 30-year mortgage paid off in a total of 11 years. Most of it ($6,500 per month) is accelerated mortgage payment. The remainder is food/child activites etc at $4,000 per month, cottage mortgage payment $900 per month, and other bills/misc $2,000 month. I do not have a budget as our spending is pretty consistent every month. We live in a high tax state and thus basically 50% of gross is gone to taxes. Before children, I was saving 75% of net take-home. Now with children and higher expenses, I save on average 50-60% of take-home. This does not include my 401K or Cash balance plans which amounts to approximately $130k of pre-tax investment each year. Muscle cars of the 60s. Minimize expenses and time is your friend. Invest as much as you can as early as you can in very low cost index funds. Without a doubt my education. Besides that, my investments are quite boring. I am invested in 80% stocks index/20% bond index and simply invest my pay every month into this. My partnership also has a 401K plan and a Cash Balance plan that I basically max out each year to help lower my taxable income. My investments are boring but have proven to be extremely effective over the years. Thankfully I have managed to avoid all the fancy “doctor investments” that rarely produce. After medical school myself and several close friends decided to start an investment club. We each invested $5,000 into a start-up which rapidly failed and we lost all of our money. This was an early education for me and this loss taught me to avoid all the typical nonsense I see my colleagues invest in. Unfortunately, several of my friends have continued such investments and have lost over 6 figures and are still waiting for the “lucky investment”. I have been averaging about 9% per year. I inherited nothing and started with nothing. I came out of fellowship with a net worth of -$120k and was very good about saving most of my income, investing it in low cost index funds, and living frugally. I avoided buying the “doctor house” and instead bought a very nice house that was less than 1/2 of my yearly income. Gradually, the magic of compound interest started to occur and my wealth began to skyrocket. In 10 years I have gone form a negative 6 figure net worth to $6 million. I have been fortunate in that there have been no major roadblocks. My family is healthy and my wife stays at home to take care of the children allowing me to spend as much time at work as needed. I would say the biggest challenge is avoiding lifestyle creep. It amazes me how much money people spend who make only 10% of our income. They then have an unexpected major car repair etc. and have to tap into home equity as they have no emergency fund. Continue to live below our means and invest every month in my taxable index portfolio. Max out my 401K ($52k per year) and continue to contribute to the Cash Balance plan at work ($80k per year). Honestly this seems to be a moving target. I set a goal and then reach that goal and then feel it is not enough. I am starting to realize I have enough. The hard part is taking the step and going 1/2 time after working so hard to build my practice to where it is at. I was 35, approximately 3 years into practice. I have not had any major behavioral changes since then. I have managed to control lifestyle creep to the best of my ability. I am a staunch believer in living below your means, investing regularly in low cost index funds, and staying the course. After several years, the compounding becomes amazing. You MUST avoid lifestyle creep at all costs. I see it all the time in my partners many of whom are still needing to work into their late 60s with major health problems. Some do not even max out their 401K but instead ensure that they have the newest, nicest, fancy import in the parking lot. Others do not even know how to check their 401K balances or what they are invested in! They need to constantly worry about cuts to reimbursement etc. It is much nicer to be in my position where at age 42 I have enough to simply walk away if we get bought out and I don’t like the terms or if rate cuts continue. I no longer need to be a slave to “the man”. Live below your means! Become the millionaire next door! If you ever saw me outside of work you would never guess I was a doctor or a millionaire. I typically wear jeans and a t-shirt and am frequently muddy or greasy from working on my cars or gardening and would have it no other way. I do all of our car repairs as well as house and lawn maintenance because I can and I want to. I drive a 10 year old Toyota and never flash my wealth. Our neighbors (all of whom drive fancy foreign imports) probably think we are barely making our mortgage payments and living paycheck to paycheck while the opposite is true. I know for a fact most of them are tapped into home equity, carry heavy credit card debt, lease their fancy cars, and only have the appearance of wealth. Once you obtain significant wealth, it is also essential to protect your wealth. Be sure to have adequate disability insurance from the start as well as a large umbrella policy to cover any possible issue that may arise. I have already reduced my work to 4 days per week. I soon want to become part-time but it is VERY difficult to do in my specialty. If you are not available for your patients or PCPs they will refer elsewhere. However, the practice of medicine has greatly changed in the last several years and is becoming less and less enjoyable each day for me. EMR now makes your work endless and even on my days off or on vacation I am spending several hours each day on the computer. There are many mornings I wake up to go to work and feel that this is not what I want to me doing with my time anymore. I imagine within the next 5 years I will be completely done especially once my mortgage is paid off. We will live off of our investment income which should amount to a safe withdrawal rate of around $150K per year. I have so many hobbies and pleasures that I have absolutely no concern on what I will do in retirement. I can’t wait to be able to go for a 2 hour bike ride each day, come home and garden, play with my children, and restore classic cars. I want my time back! My biggest issue is healthcare and its cost. I have always loved earning money and being able to spend on my hobbies. I started landscaping for neighbors and having a paper route when I was 10 yrs old. I worked for our family construction company starting at 15yrs old. I credit my wife with getting me started in investing. Prior to meeting her I just saved everything in a bank saving account. My parents and grandparents. I was extremely lucky and blessed to grow up in a very loving and caring family and have both sets of grandparents as well as both my parents alive and well until I was 36. There is no doubt this heavily contributed to my drive and success. My mother was selfless and dedicated her entire life to her children. She was very patient with me as a child and allowed me to pursue any hobby I desired and supported me all the way. She unfortunately died young and unexpectedly from cancer which was a major catastrophe in my life and has led to many regrets. My father worked two jobs to provide for us and though never really into investing, he taught us to live frugally, work hard, get an education, and avoid the flashy lifestyle. He taught us the importance of regular exercise as well as the splendor of the outdoors which has stuck with me and my siblings for our entire lives. Both sets of grandparents were heavily involved in my life and very loving. Some of my best memories of my childhood were with them. My paternal grandfather ran a very successful construction company and was a great real estate investor with a net worth in the millions. Growing up we always knew he had a lot of money and I always wanted to be like him. He lived very simply and if you saw him at work you would think he was a pauper by the way he dressed. He drove a rusty pickup to work wearing jeans and a T shirt even with a 7 figure net worth. It was always very important to him to look like an average Joe especially amongst his employees. He was well known at work for treating all of his employees very fairly and never looking down on anyone. I guess this made a heavy impression on me. I contribute regularly to children’s hospitals. Now that my net worth is so high, I plan on giving more. Prior to a few years ago, I did not contribute as much given my extremely high tax rate which I considered as charity also. That is a great question and I am unsure at this point. I certainly will pay for their education with 529 plans. However, I do not want them to feel as though they don’t need to work hard and I want them to find their own way. I feel this is vitally important. I had to work extremely hard to be where I am at and this makes me respect money and how quickly it can disappear. I was never given cars or anything like that when I was growing up and certainly did not consider myself spoiled. Great interview and right up my alley. I am guessing you’re speciality is GI, and you should be proud of how you’ve done! I, too, am a car guy. Had an 85 mustang that my dad and I converted from a 4 banger to a V8. Only thing that was the same was the frame. I now drive a Chevy SS, which has ultimate sleeper status looking like a Malibu, but being a monster underneath. Your example is amazing, and a story worth telling that hard work does pay off. Hopefully, ESI won’t mind me saying so since his idea is what inspired mine, but I’d love for you to do my Physician Finance Interview over at my site, too. If you need an example, there was one published today (as there is each of the last five or six Fridays). Way to be an example of hard work, discipline, and sticking to the plan. I hope to help a lot of medical students and residents follow in a very similar path to you. Nice job on being well balanced. It seems as if every doctor says the same thing about how much the business of healthcare has changed. Being in the medical profession, will certainly keep your healthcare costs low after retirement. My father and mother were both in Medicine, but that skipped my generation. I believe the saying “every family needs a doctor in it.” Helps keep those unnecessary visits to a minimum. I was struck by the amount you can save in a 401K. I’m assuming that it is a SEP 401k. For us average non-business owning folks, the limit is $18k a year. Can you describe what “cash balance” is? You referred to it a few times and I’ve never heard of it. Hi, I am early retired and have two physician specialists in my immediate family. I actually find that my healthcare costs are higher because of that. When I have health issies, they are very thorough and recommend more tests/procedures than a typical Kaiser doctor would, lol. Probably better for my health, but more expensive, to cover all the bases. Always interesting to see real numbers. My husband is about 2 years away from retiring from anesthesia and my son is just beginning his medical school journey. I too was guessing gastro as your specialty as it is very procedure oriented and most GI docs are still in private practice. We have always lived below our means as well, but have nowhere near what you have in net worth because of your extremely high salary. However we absolutely are in a good position, due to high income and low spending. We are just like you, jeans, medium priced neighborhood, older cars, etc. Interesting that you are thinking of retiring in five years, which would mean you would have been practicing for only about 15 years. My husband is going on 30 years, and still seems to enjoy medicine- still takes overnight call, (sleeps at hospital), etc. Meant to say that our NW is similar to yours, but it has taken us 30 years to get there, as opposed to your much shorter journey, with a higher income. So, in 20 years time, even considering inflation,, your NW will be quite high! Amazing story and great interview. To the interviewee, great job at balancing your life, as well as, your financial goals. I’m sure your kids will enjoy reading this one day and seeing all the hard work their parents made to achieve their success. You are an inspiration and I am glad to be working towards the same goal with a similar mindset. I regularly read these interviews while getting ready in the morning but have never commented. While yours is the highest salary I remember reading, yours strikes me as the most humble interview. Thanks for showing us kindness is possible. Although I’d love to have your salary — hahahahaha — you truly are investing in those around you and reminding us what really matters in life. Thanks for that. Really enjoyed this interview and thanks for sharing. Curious about some more details on the large umbrella policy as is that for your business or something personal. On a side, have you considered a Defined Benefit plan as you would be able to sock away ~225K to ~275K tax deferred with your income levels and the yearly costs via a 3rd party vary (I am paying $2,500 for full turn key). Great story. Amazing powers of resisting spending creep! I think this interview may have shown the greatest delta between earnings and spending yet featured here. I really admire that. As fellow very under the radar “millionaire next door” and a proud dad, I can tell you that your busiest years with the kids are just coming up. Great trips, Soccer, baseball, football, school stuff etc etc are all ahead of you. I have enjoyed volunteering and coaching kids sports far more than any job or money earning i have done. I frequently wished I could be have done with work earlier in my kids’ lives, and gone full time into doing kid related stuff between the ages of 5 and 18, so much more gratifying than earning money. Unfortunately I had not yet hit my target network number during these years. Your hard work and extreme frugality is about to pay off big time – if you can go part time or go no time during these best of all years with your kids then you will have really hit the jack pot. What an opportunity! Kids are only young once and the years just fly by – enjoy them and the fun days ahead. A great saying which really applies here: “The days are long, but the years go by fast”. The older my kids get this more I feel this. Really enjoyed your interview. Congratulations on a job exceedingly well done! This is by far, one of my favorite millionaire interviews. Not necessarily because of his stupendous income and wealth he has built, but because of his simplicity in investing and life generally, and even in his answers to the questions. No complexities anywhere. He invests in only Index funds in his 401(k), Cash balance plan and taxable accounts. No fancy investments like many other millionaire interviewees do. Only has his job and income from investments. No other side jobs or hustle (not really necessary). His philosophies in life is also simple. This indeed has been an inspiring post. Thank you ESI for featuring this millionaire. Great interview! Although I suspect we are in different specialties, I am about the same age and have a very similar trajectory to you. Being able to stay on the same town with the same group your entire career is wonderful personally, professionally, and financially. It’s good that your partners have treated you well. Most young physicians that I trained and started with aren’t as fortunate. Great advice on the value of hard work and good communication with your patients and their referring doctors. I too am busier than I need or want to be but cannot easily scale back. I am actively looking at ways to do so. 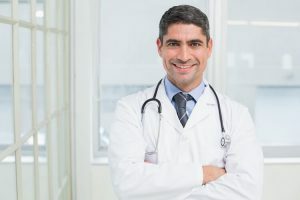 However, I have found that once you have built a reputation and busy practice, the referring physicians only want you, and not your partners, to manage their patients. How are you planning to scaling back? It sounds like you’ll have plenty to do in retirement in 5 years. I am trying to figure out this aspect. I enjoy taking care of patients, but as you detailed, the paperwork and after hours work is increasingly onerous. Have you looked at websites such as Firecalc? It is interesting to see what your net worth COULD grow to given your starting point, income, and spending habits. Deciding if and how to distribute money to your kids while keeping them grounded is something we have been discussing. I really enjoyed reading your interview. Congrats! Great interview. He is clearly a human I would like to have as a neighbor and a friend. I come from similar background starting work at an early age, actually worked for a mechanic and built cars, put myself through college, and have been investing since I was young. That said, I don’t know that others can model themselves after a person making $900K/year with ownership in a medical practice from an investment strategy standpoint. That sort of income actually allows him to be quite conservative in his approach to investing because he just stacks money away every year. Others do not have that same luxury. I give him all the credit as it may be financially easy to live “below your means” at this sort of income, it often isn’t “socially” easy to his point about others he knows personally. So, kudos DrX. I dont necessarily agree that annual income matters alot when it comes to building your financial model. To me the key is the saving part. No matter what you earn, you need to spend less so you can invest. You can use a similar model that mi90 uses regardless. Acknowledge that may impact the final outcome but it all depends on your end goal and perhaps if your income is lower your end goal might be too. In my case earnings would never have exceeded 10 percent of what MI90 earns yet investments would qualify for MI and it has been achieved with what be typified as similar albeit I dont live in USA so there are differences in the vehicles used for retirement saving. Pretty simple math, and it matters a great deal as does time. Hard to disagree with solid logic. Think about it in very simple terms. He can bank a half million a year (well not really because of taxes) and still have almost half a million to spend per year. I’m sure he’s busting hump to get there as he says but it’s still damn good money- no other way to see it. Good for him. In general terms I agree the chances of you becoming wealthy increase with your income. I was not intending to mean it was irrelevant as may have come across, as clearly someone earning $900K a year has a much greater chance of being able to save than the average income earner. I agree that time is also crucial. I think one of the great things about this blog and these interviews is that it shows there are a myriad of ways that people can be successful. Regardless of how you achieved the MI status its worth celebrating and MI90 should be acknowledged for that as clearly he got to where he did by working hard, making sacrifices and making a lot of great decisions! Yes exactly! I like some here think people don’t focus enough on the E in ESI. You have to have the gap between earning and expenses. The key is not to overspend when you are lucky enough to have high earnings. Reading through this interview reminds me too much of myself. (kinda scary) For me, it almost gets to be a turn off seeing people with high salaries completely WASTE their money instead of living within (or below) their means and investing wisely. I don’t have to tell you that you’re in a GREAT position to teach and pass along your knowledge to your kids. Too many kids have a CONTENTMENT problem. Teaching them about how to handle $$ early on in life (like the way you’re living) is the key. Excellent post! I can’t agree more with some here, it’s nice to see humility from a high earner. I wish I could say I am as humble. I like a few flashy things mostly cars. I only have two, wife has one but my daily driver is a pretty expensive car. I also own a classic 60’s muscle car. I’ve been thinking a lot about my car, in some ways I say I’ve earned it and it certainly didn’t impact retirement much but then I do wonder if it’s too pretentious and is that really what I want people to think about when they see me in it. I think I’m a few years when it’s time to move on I’ll go with something much more humble especially given that retirement will be much closer at that point. Best of luck in slowing down you have done very well and deserve it. In all fairness this is not a story that the average investor can relate to. This guy makes close to a million per year! The median American household income is about $59k. Assuming he’s not a lavish spender (doesn’t sound like he is), he can walk away from work anytime he wants. Now I’m not at all discounting the hard work he had to put in to achieve his earning potential, kudos to him, just saying he’s now a 1-percenter and most people reading this cannot relate. Well that’s that then, I know I will never volunteer to do an interview. I guess I’m unrelatable. I do find it a bit curious how dismissive several people are based on the salary however if I’m not mistaken the focus of ESI is maximizing earning potential, saving and investing. Yes I get the game changes a bit but the goals and values don’t. In your own words yes are pretentious. It’s pretty obvious you have money, cars, etc, and you sure like to gloat about it. Guess what, no one cares. Get over yourself and try to learn some humility. We all end up in the same pine box. And P.S. your car won’t be there with you. My original point was that the majority of the readership is struggling just to get 1 million in net worth, so if I read about a guy who earns $45k/yr and his net worth is $1M, to me that’s inspiring! If it’s about a guy who earns that much every year… yawn. Hey don’t get me wrong, doctors provide an extremely valuable service to society. It’s also no secret American doctors are grossly overpaid compared to doctors in other countries. And people wonder why we’ve got a healthcare problem. I have noticed some negative comments popping up in some recent MI interviews- and I dont think there were too many in the past. There are lots of different lessons in all of these interviews Andy. Dr X earned $30k for 6 years- and when he hit the Big Time he still lived way under his means. The guy is earning close to One mill and still driving a 10 year old Toyota. He worked way way harder than his peers early on. He mows his own lawn. Those are all greater contributors to his NW than the$900K- there are plenty of people earning that money that are squandering it all. It would take someone making $45K/Year over 20 years of investing consistently to be able to generate $1M. Is it difficult? Sure. The point is that it is doable but some people don’t want to defer gratification. Your comment of doctors being grossly overpaid and that this is the cause of our healthcare problem is absurd to say the least. Doctors are paid for the work they provide. I encourage you to put yourself thru over a decade of rigorous schooling, making nothing during those years, acquiring an enormous amount of debt, sacrificing your 20s, to then come out with a negative net worth. Doctors deserve their high incomes because they provide a service most are not willing to do or simply do not have the intellectual capacity to do. When you go see a doctor, lawyer, or hire an engineer, architect, plumber, etc., you are not just paying for their service, but you are also paying for their expertise and knowledge. Ed are you kidding me?? Why does America have the most expensive healthcare in the world? There are many variables but paying doctors’ salaries is at the core. Perhaps if we didn’t live in such a lawsuit-happy country, doctors and hospitals wouldn’t need to charge an arm and a leg to cover their outrageous insurance premiums. And maybe “acquiring an enormous amount of debt” wouldn’t be as much of an issue if our education system wasn’t so ridiculously expensive. All of these socio-economic factors contribute the trickle-down effect with the end result being flawed and overpriced healthcare. Now don’t get me wrong, I’m not one of those socialist types who thinks everything should be “free”, but if you don’t think we have a problem in this country with healthcare and education costs you’ve got your head buried in the sand. I acknowledge and respect the hard work and sacrifices it takes to become an M.D., However, it doesn’t necessarily take a high intellect as you suggested, what it takes is perseverance. A very close friend of mine and one of the biggest partiers I know spent virtually every night of his college career drunk and he still graduated as an orthopedic surgeon. While he certainly knew how to “walk the line”, he’s no genius, just disciplined enough to stay the course for 8 years. I’ve had conversations with him on this exact subject and he would back up everything I’m saying. Btw, his starting salary out of internship was somewhere around $380k. To me that’s “absurd”. Think about it, it takes virtually the same skills to be a veterinarian, yet who gets paid 5x more? Once you connect the dots of this broken system it’ll make a lot more sense. And don’t get me started on Big Pharma, their influence on government regulation, and the cost of meds. Can’t you see how all these things are interwoven? Andy that was kinda harsh. Yikes. So some may think it’s “easier” to become a millionaire when you make that kind of money (like me)- I get it… but I don’t think it’s “easy” to accomplish what he has done at all! Wow. On another note- the guy pays half of his salary in taxes- that’s $500K per year. He’s not just making good money, he’s paying a ton to help society in other ways. You gotta see that. Spend less than you make, live below your means, invest the difference – These ideas which are the real take away from this interview apply to everybody. Yes, this hard working guy is earning way above average and is an outlier in the earnings department, but what he talks about in his approach could apply to anybody that wants to follow his lead, regardless of income level. I can relate. What you talk about here and your approach applies to everybody, regardless of income level. I appreciate the time you spent typing this up. Thanks!